With dimensions for 66 different types of envelopes, this Envelope Punch Board is AH-MAZ-ING!!!!!! 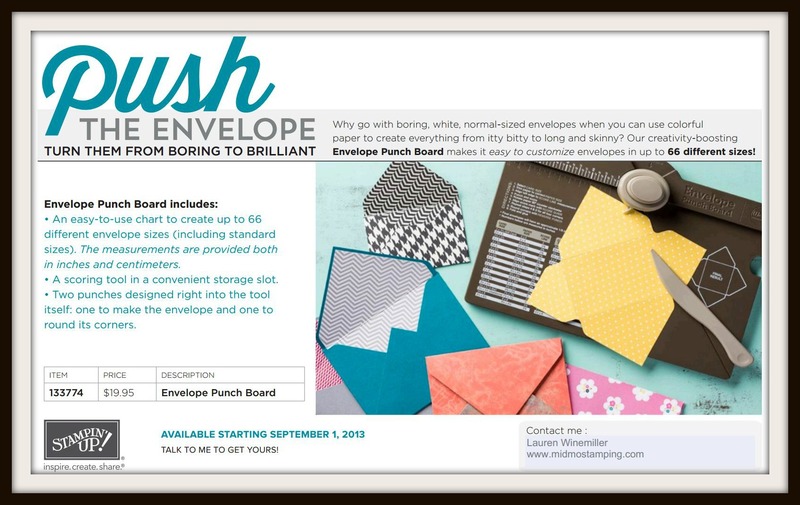 You can now add the Envelope Punch Board to any order (online, club, or class)! Check out the NEW Thinlits Die cuts!!! I just bought this yesterday! I’ve been wanting this, and it works beautifully! Lauren, I would like to order the Evenlope Punch Board. How much is it? What is the total price?